What do you do when Eva Mendes tells you that you have a beautifully shaped face? You smile, say thank you in disbelief, pinch yourself, and continue to listen intently to every tip, trick, and word of beauty wisdom that comes out of her mouth. I recently sat down with the actress in a spacious suite at The London in West Hollywood, where we discussed everything from cream blush and hair health to what makes her drugstore brand, Circa, so special. For those of you wondering what it’s like to come face to face with the brunette bombshell, we can certainly report back that she’s even more stunning in person (we didn’t know it was humanly possible). There’s something about Mendes, and it’s not just her acting skills or the fact that she’s started a family with one of our biggest Hollywood crushes, Ryan Gosling. She’s the kind of woman who truly wants to make a difference in others’ lives, and with Circa (available at Walgreens), she’s offering high-quality beauty products at an attainable cost. It’s evident she genuinely cares about her brand, understands her products, and is extremely knowledgeable about makeup application. Ahead, learn how to accentuate your upper lip, properly test foundation shades, and more tricks of the trade à la Mendes. BYRDIE: What sets Circa apart from other drugstore beauty brands? EVA MENDES: So many things. The quality formula for sure, and the beautiful packaging. It’s just stunning. That combination doesn’t exist in drugstores, and I’m so proud to have Circa out there. I grew up not only shopping at drugstores for pretty much everything—skincare, cosmetics, household products—and I live two blocks from a Walgreens, so for me, it’s really important to have that available because we can now. When I was growing up, it certainly wasn’t cool to have things at a discounted price or to have something at mass level. There was no H&M—it wasn’t cool yet—so the fact that it is now, and that people really understand that you don’t have to pay a lot for things that are quality—I think that’s really exciting. BYRDIE: Of all the items in your collection, which would you consider your go-tos? EM: Definitely the cream blush—our cream blushes are so luxurious. Portofino is my favorite color. It blends really nicely, and it layers really beautifully too. I use that on my lips at times. It’s one of my must-have products. We also have the Magic Illuminator. It gives a little glow, but it’s not too much; it’s just that perfect amount. And you can use that pretty much anywhere. I really like this trick that my makeup artist taught me: She puts just a little bit right here on my Cupid’s bow. It really accentuates the upper lip. BYRDIE: What’s one of the best pieces of beauty advice anyone has ever shared with you? EM: To know your face shape and to know what you’re working with. And again, that’s something that my makeup artist, Genevieve, told me. I’ve known her now for 15 years, and she’s really helped me along the way, as far as making me understand what I’m working with. If you know what it is you’re after, from the first application of primer to your last finishing touch, if you have an objective—what you want to play up and play down—this helps you really achieve your goal. 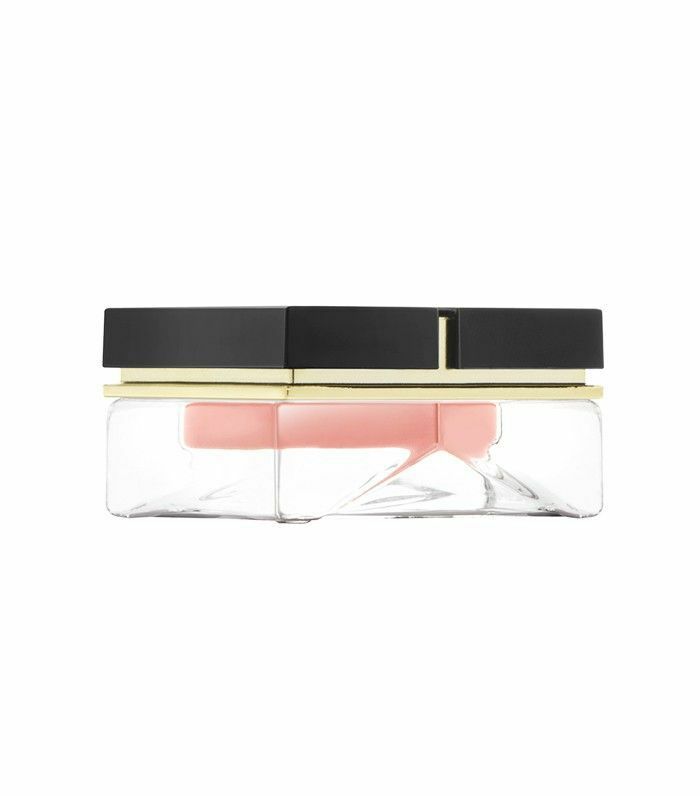 For me, because I have a long face and strong jaw, even a little thing like applying that cream blush, if I apply it horizontally (and never skip the nose), it really helps break up my face. BYRDIE: Growing up, did you enjoy experimenting with makeup? Was there anyone who taught you how to properly apply it? EM: I think it was a trial by error. We didn’t have YouTube back then, so I didn’t have any tutorials to turn to. I would just go into my mom’s makeup bag and go experiment. My mom could really do her brows. I’ve never been great at doing my brows, but I just have vivid memories of her painting on her brows, and they are so beautiful. Nobody actually taught me how to properly apply, but once I was older, I would watch old movies from the ’60s (I’ve always been drawn to that kind of eye). One trick, again, that works with my face shape is to keep the corner of the outer eye open so that the lines don’t meet. And you can make that as dramatic as you like or make it a definite look and have it super open and ’60s, or you can make it subtle. I recently saw a Marilyn Monroe film where they do the eye trick—it’s this really interesting gray eye that’s subtle, but you see how they leave the corners open and her eyes just go “boom.” I tend to pause on certain scenes in movies and try to study what they did. And the best stuff is when you can’t see what they’ve done. BYRDIE: What tips do you have for ladies who struggle to find their appropriate foundation shade? 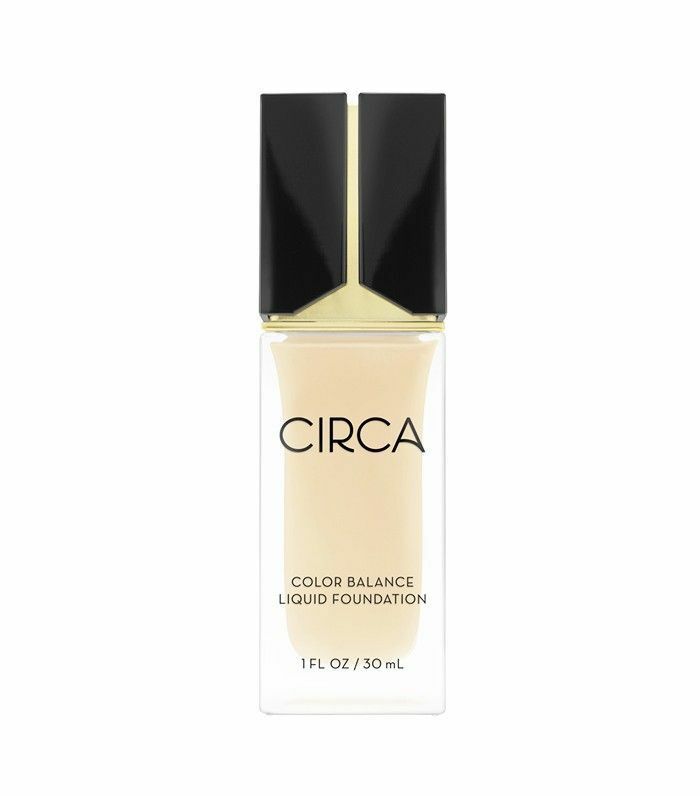 EM: Well, one of the things I love about Circa at Walgreens is that we have testers for foundation. It’s really cool and very rare. After being open to testing these certain shades, I’ve heard that the best way to do it is apply on your cheekbone, not your hand or your wrist. It’s very rare that those areas are the same color as our faces. BYRDIE: What can you tell us about your daily skincare routine? Has it changed post-pregnancy? EM: Yes, it has changed post-pregnancy. My daily skin routine has certainly become more condensed and faster. At this point, six weeks out, I’m lucky if I even get to apply a little moisturizer. I love a ritual. I love having something at the end of my day and beginning of my day that I go to, that I can engage in and can call my “me” time. I’m excited to get back to that. BYRDIE: What does your haircare routine consist of? How do you keep your strands so voluminous and shiny? EM: Well, I haven’t done this in a while, but I’m a big fan of coconut oil and using it as a treatment. I’ll just leave it in my hair and put a shower cap on it and sleep with it overnight. I stay away from the scalp; it’s not so much a scalp thing for me, because I tend to like a drier texture with my everyday hair. I go after that beachy look, but obviously, that can leave your hair feeling unhealthy, so I really like this coconut oil trick. Try it on your ends first to see if you like it to get that extra shine. Talking about drugstore products, it’s funny because I worked with Pantene for years, and I was always a fan. Although I’m no longer the face of Pantene, I still stand by the brand. It’s a really great product. I love it. BYRDIE: Has your Latin heritage influenced your beauty style or routine in any way? EM: I think just generally speaking, I feel like Latin women aren’t as hung up on being thin. We really embrace our bodies. There’s so much diversity within the Latin culture. There are so many different body types and skin tones, and I feel like it’s been ingrained in us since we were little to embrace our body types and follow the philosophy that “bigger is better,” in a way. Every time my mom sees me, she wants to feed me and she thinks I’m too skinny. My dad is the same way. I think that’s really beautiful because it ends up promoting a healthier body image, which is really great. Being thin was never a conversation we ever had in our household. It was about finishing your plate. It’s so fun to look back and see how that was never an issue. Are you a fan of drugstore beauty brands? 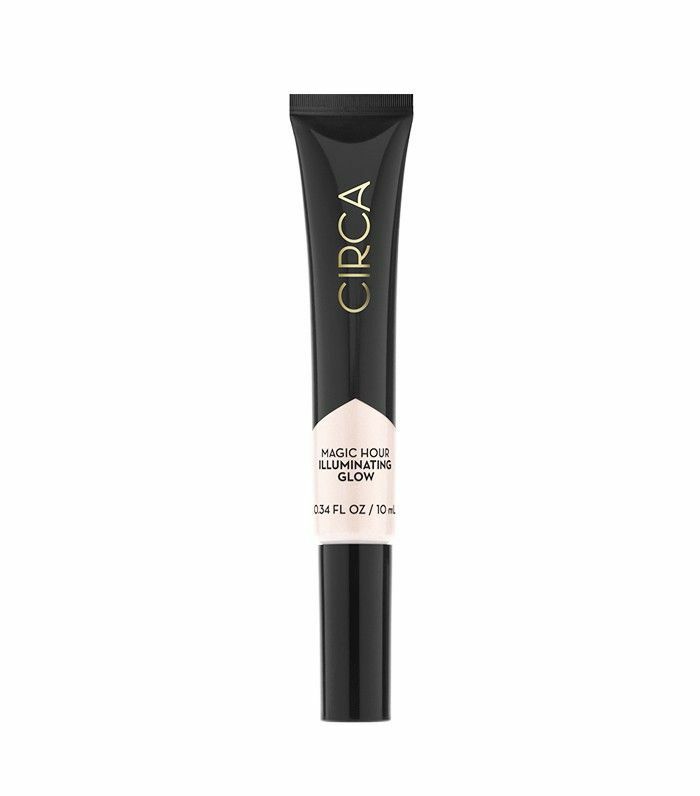 Have you tried any of the products from Circa? Please tell us in the comments below!